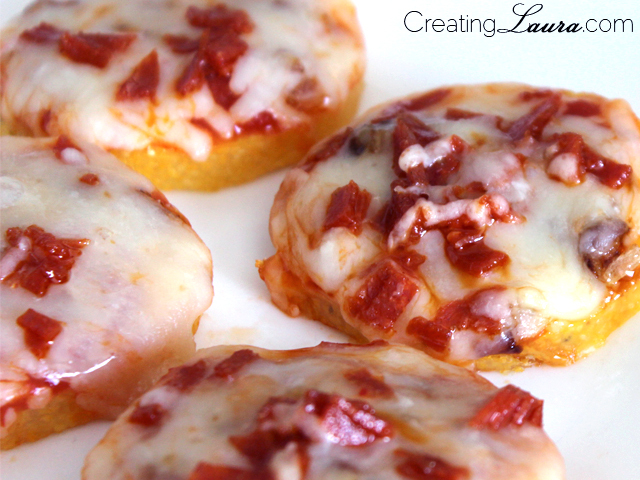 For today's gluten free kitchen adventure, I decided to make mini pizzas using polenta slices instead of regular crust. Unfamiliar with polenta? It's basically just ground and cooked cornmeal that you can buy in tube-form at any major grocery store. 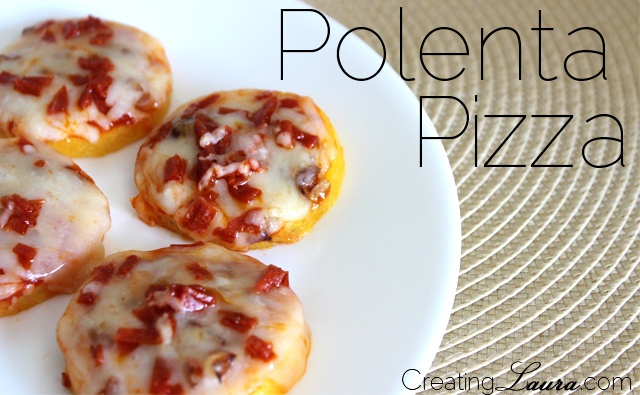 I like it because it has a surprisingly creamy flavor to it, and that's exactly what it adds to these little pizzas. Don't expect them to taste the same as regular pizza; they are their own (delicious) animal. This recipe yields 8 mini pizzas and takes 20 minutes to make (only 10 of those minutes are hands-on). *The brands I used are gluten free. Other brands of these products may contain gluten, so check their labels before you use them. - Cut 8 thin 1/4 inch slices from the polenta, place them on an ungreased cookie sheet, and bake them in a 350 degree (F) preheated oven for 15 minutes. 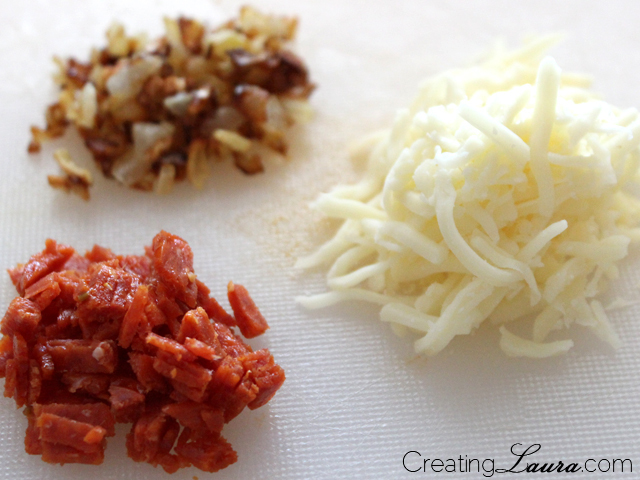 - While the polenta is in the oven, mince the pepperoni, onion, and garlic. Place the pepperoni aside for later. - Saute the onion and garlic in the olive oil in a small sauce plan. - When the polenta is finished baking, remove the pan from the oven and layer the toppings onto each polenta slice in the following order: a spoonful of spaghetti sauce, a pinch of garlic and onions, several pinches of cheese, a sprinkling of pepperoni pieces. - Put the pan back into the oven to bake for 5 more minutes. - Remove from the oven, serve, and enjoy! If you make these, let me know what you think of them! I really hope you like them as much as I did.